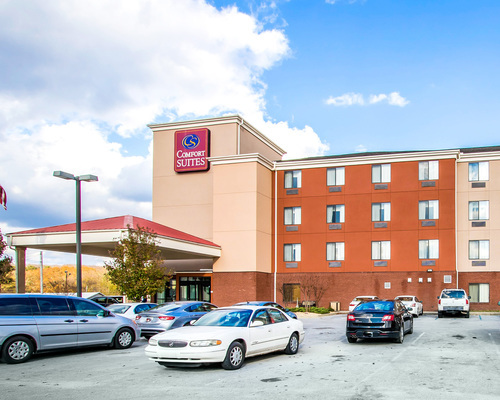 The all-suites hotel is brand new and conveniently located near shopping, restaurants and corporate offices. The hotel is located in the heart of Cahaba Valley Office Park and Riverchase Business Park; so all of your appointments are just minutes away. Nearby attractions include Verizon Amphitheater, Pelham Civic Complex, Riverchase Galleria, the Hoover Met and world famous Robert Trent Jones Golf Trail. Come and enjoy the outdoor activities in nearby Oak Mountain State park. The park facilities include miles of biking and horseback trails, fishing, boating and golfing. Experience southern hospitality as you never have before at the Comfort Suites. This 75 room hotel is just outside of the happening hot spots of Birmingham, Alabama. We specialize in weddings, Bar/Bat Mitzvahs, birthdays and anniversaries and corporate travel as well as leisure travel.